Bloody Olive Mary - A recipe from Savor California, the online showcase for extraordinary gourmet foods and beverages from California. Pour Olive Mary Mix into chilled glass. 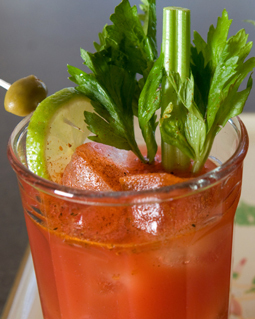 Garnish with celery stalk, olives, or lemon wedge.